All aboard! This awesome tiny house might look a bit different than most tiny houses and that is because this tiny house was once a train. 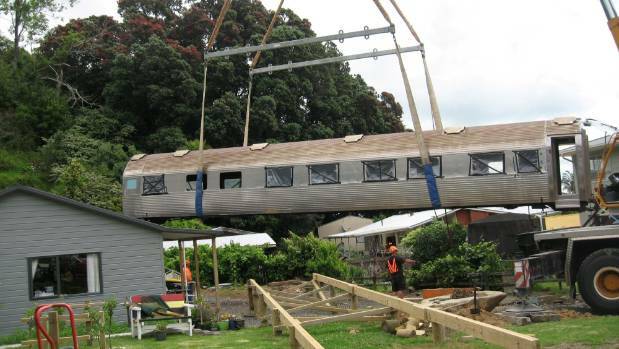 Using some creativity and ingenuity, this old train got a major upgrade. 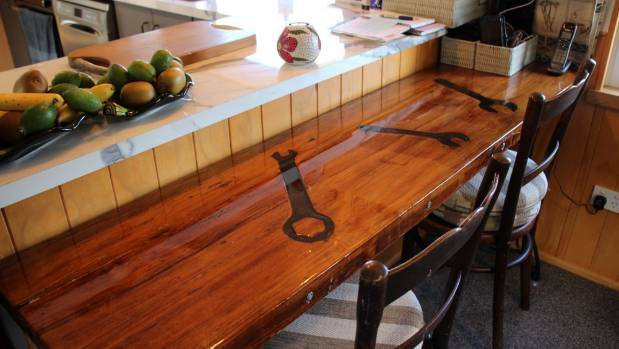 Once part of a running train, this old shell was upcycled into a place that is now called home. Curious to see how this transformation took place? Look no further, as we delve into the history of this once running train carriage. 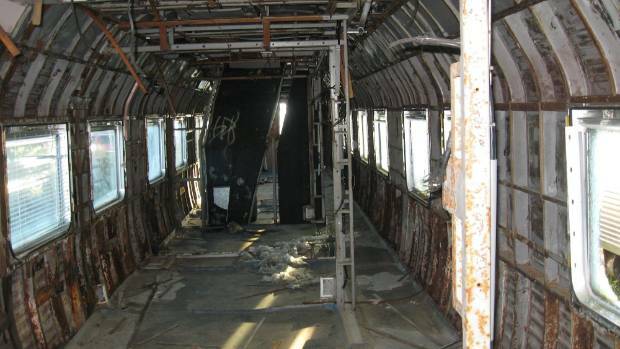 This train carriage was part of the Silver Star luxury passenger train back in 1971. 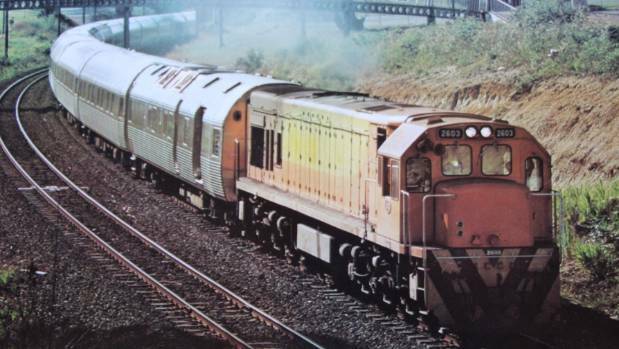 The Silver Star was a native New Zealand train that ran overnight between Auckland and Wellington on the North Island Main Truck railway. Unfortunately this train only ran for 9 months before being replaced be the Night Limited which was an express passenger train that cut down on transportation time making it more efficient and did not have any packages or parcel compartments to deal with. Designed thoughtfully, the Silver Star was marketed as a “hotel on wheels”, a modern ride that had all the amenities a passenger could need or want. Even more interested, this train decided to stand out by leaving their cars made of unpainted stainless steel instead of the traditional red color. 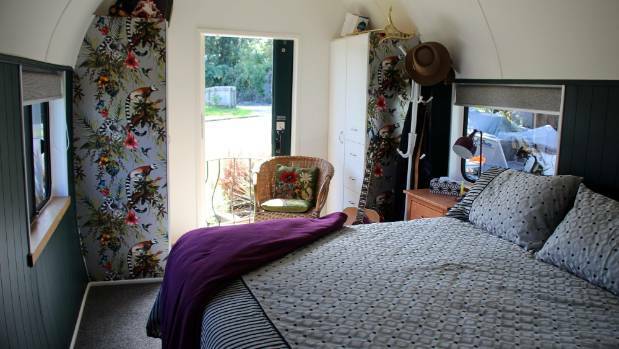 For one lucky Silver Star train carriage in particular, it was given new life in Thames Coast beach town when couple Steve and Norelle Broughton decided to turn it into their new home. 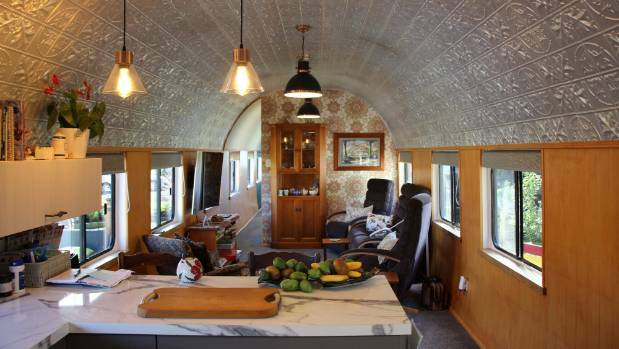 The couple spent over a year renovating the carriage train after purchasing it for $10,000 in 2016. The carriage arrived in poor conditions and needed a lot of work as it was sitting in a scrap yard for many years. They saw a vision for this train carriage as a simple, yet exciting new life for themselves as well as their 9 year old grandson Liam Arthur. One positive about this train carriage was the fact that it was a sleeper carriage- made for passengers to rest in. Because of that, the shell was made out of a durable and soundproof brickette which helped with noise and insulation. The final cost of the build totaled to around $130,000. This included the purchase price as well as transportation costs of moving the heavy train carriage. The train carriage measures 3 meters wide and 19 meters long. (This translates to approximately 9 feet wide and 62 feet long.) As for the interior, the carriage boost of two separate bedrooms, a small bathroom, a comfortable living room area and a kitchen equiped with a breakfast bar. Some unique features include the windows within the train. There are also a total of 19 sliding windows with curved corners to fit the shell of the house. Another cool detail is the patterned press tin from Australia that accent the curved ceiling of the train. Wow! How inventive and creative. Loved this! Pierre Burton had a passion for trains. I liked the idea of having a caboose that could be hooked up & taken across the country,but suspect those days are gone now. I have seen old train carriages turned into station cafes and such like, but never a private house.